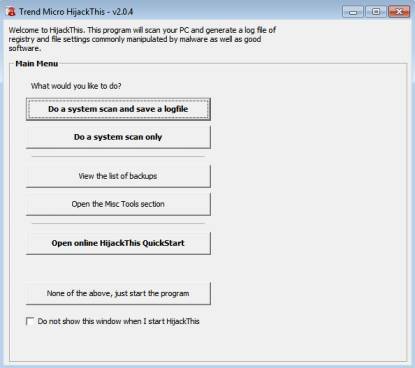 HiJackThis is a software that is able to detect unusual entries on your registry and hard drive and create a log file with the information it gathered about the running processes. This log file can either be analysed by the user himself or be copied into an automatic analyser that shows if the entries are rated safe or dangerous. 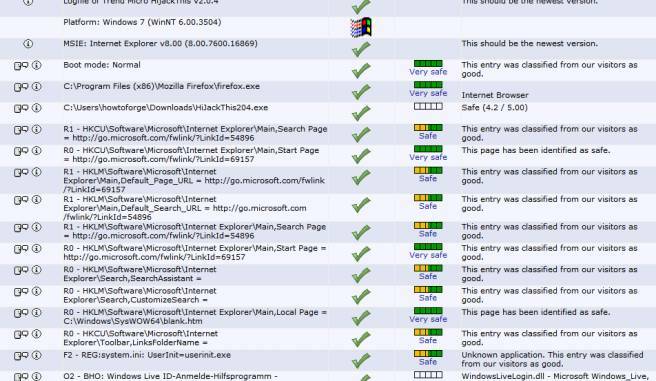 If you made the program create a log file after scanning, it is recommended to copy and paste it into an automatic analyser such as the one you can find here: http://www.hijackthis.de/en. The analyser will then give you an overview of the scanned files combined with a rating given by visitors. If you find any unsafe entries, you are given the option to fix them in the program's window. Be cautious what you delete however, inform yourself about the stated entries and do not rely on information provided by a single source. Always double-check before you delete an entry.